Are you looking for a private area within your yard that will allow you to escape the eyes of onlookers, yet you do not want to sacrifice the view? Or maybe you live in an area where you have animals and need to creatively address privacy concerns but need them to be safe around your fur babies. How about the idea of having a beautiful and functional space that not only gives you the privacy, but allows you to forget that your neighbors just put in a new master suite with a deck that overlooks your backyard, and the other neighbors just put in a pool for their small tribe that seems to somehow always lose their ball in your yard? What about your business that needs a fresh face from the standpoint of curb appeal, or maybe you are seeking to boost the competition? Here at the Rustic Fence, our priority is making sure your home and/or business are reflecting the exact vision you have. In this article, we will unpack some of the ideas you can utilize within your own space that will increase the value of your home and/or business, as well as the quality of life you enjoy, all while not breaking the bank. After all, your space is where you find the time to reboot and get ready to take on another day, or it is where you want to be able to regroup, right? Let’s start looking at the different options you have in front of you for creating your vision. Does lot size determine everything in establishing privacy for my space? Honestly, the size of your lot doesn’t have to determine much, other than your specific amount of space. Creativity will play a huge role in how the design and functionality of your privacy screens or fences will actually be executed at the end of the day. But large or small spaces can absolutely be enhanced by the right kind of screens and barriers, even to the point of ensuring that they feel larger and more functional without being intrusive or demanding too much. As larger homes today occupy ever-smaller lots and demand for outdoor living areas grows, privacy is at an all-time premium. Quite frankly, it is less about prying eyes into your own personal space, as it is you wanting to avoid the outdoor life of your neighbors and block their chatter. So you see, it is less about size and more about creative ways to enhance your space and keep the atmosphere you are craving within your own personal living space. As for your business, on a commercial lot, there are the obvious codes in place similar to your HOA, yet these are not considered negative restrictions but rather greater opportunities for creativity. The end result will be that your creative edge is clearly defined within your unique curb appeal. That should really sound exciting, and we are looking forward to helping that come to life. Is there a limit on the kind of privacy fences I want to use? The only real limitations come from where you limit yourself in creativity. There are so many ways to add privacy in your landscape, ones that we are proud to offer our clientele. The options are really limitless when it comes to creating the space you are looking for. You can even choose to combine many different textures for your outdoor space, creating a unique design that reflects your own personality and or the commercial excellence you are seeking to celebrate. Size will play a small part in the final outcome, so do not let your yardage be what restrains you from being creative and really setting the atmosphere of your space the way you truly desire. My budget doesn’t match my dream space, any suggestions on getting close? With expert care and the family name on the line, we know how to always exceed expectations. 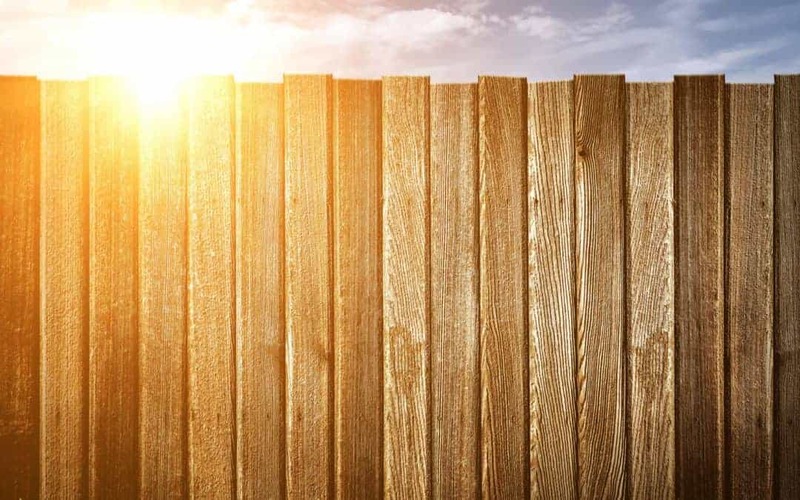 Whether you desire a custom fence for your ranch, a security fence for your commercial lot, picket fences for your yard, or anything else, Rustic Fence is proud to serve you today!